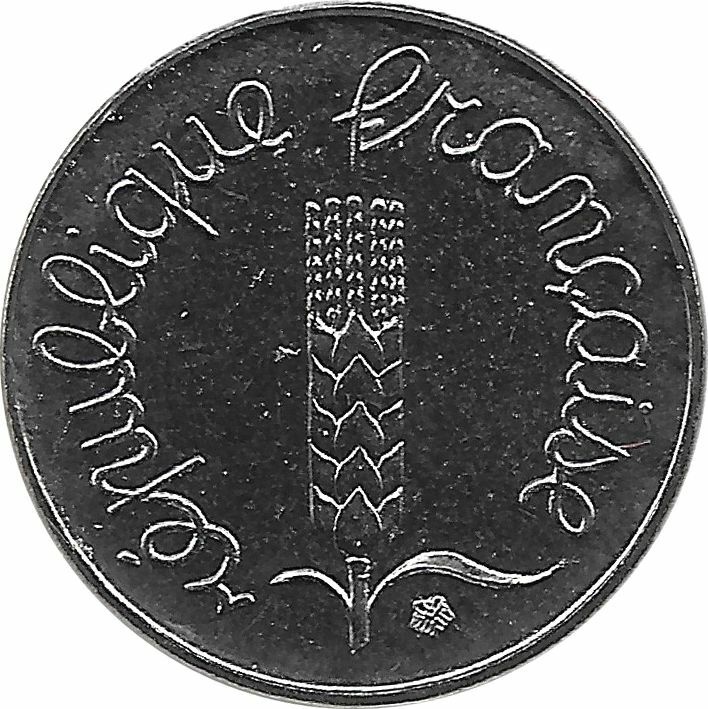 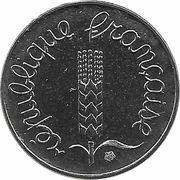 An ear of wheat is surrounded with the cursive lettering: "république française" (French Republic). Some pieces have a rim (an outgrowth of metal) at the bottom of the the high curve on the right leaf of the ear. 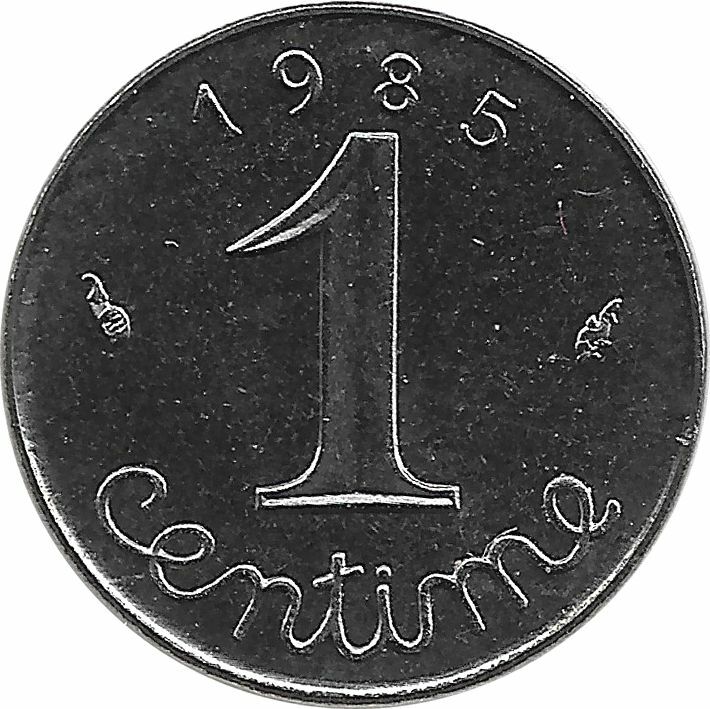 The number "1" is surrounded with date and the cursive lettering: "centime". 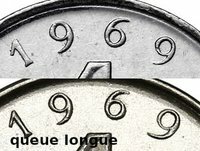 1969 11.21 11.21 long "9"